The English came looking for gold, or a way to intercept some of the Spanish gold. 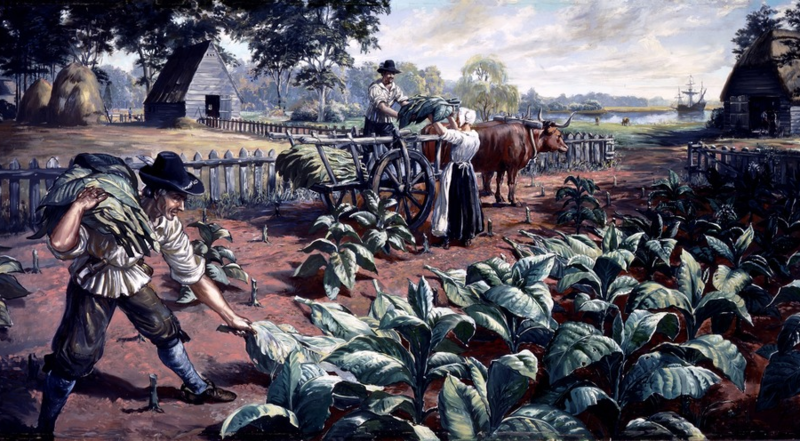 After 5 years of struggling to survive, they discovered that the path to wealth in Virginia was through growing tobacco. They shipped it home to England, purchasing most of their manufactured goods from overseas with credit from the tobacco sales. When you see references to "subsistence agriculture" in Virginia, adjust it to "self-sufficient" in your thinking... Today, much of the hay and corn grown in Virginia is still used on the farm by people or animals. 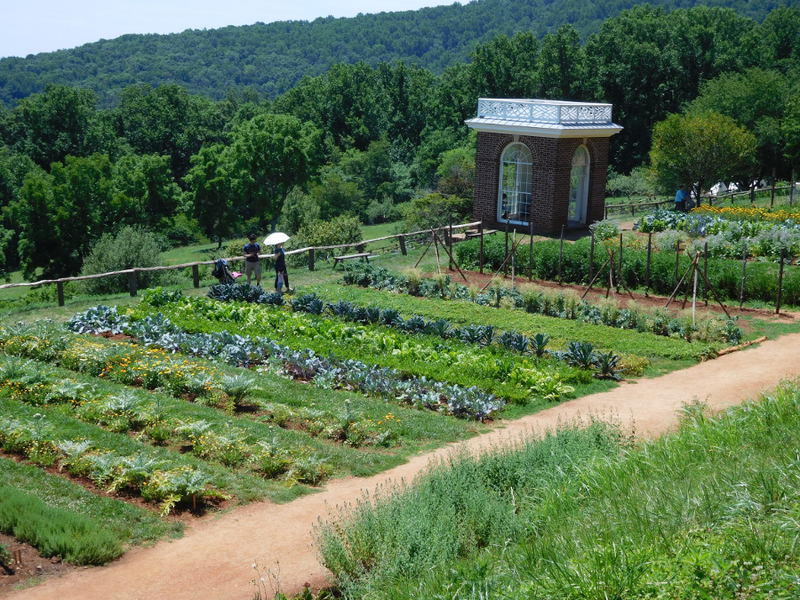 Of course, the produce from large family gardens may also be used on the farm rather than sold for cash. In theory at least, farmers need a smaller cash income to maintain the same quality of life as urban residents - farmers can grow much of their own food and don't need to earn cash to pay for store-bought food, right? Farmers may pay a little less at the grocery store, but cars, electronics, clothing, furniture, etc. require cash. Farmers don't get a discount on a cup of coffee and some snack food from the local Sheetz or 7-11, either. Food is a relatively small percentage of most family budgets, so farmers need essentially the same household income as suburbanites to enjoy the same standard of living in modern times. So much timber have they that they build fences all around the land they cultivate. A man with fifty acres of ground, & others in proportion, will leave twenty-five wooded, & of the remaining twenty-five will cultivate half and keep the other as a pasture & paddock for his cattle. Four years later, he transfers his fences to this untilled half which meanwhile has had a period of rest and fertilization, & every year they put seeds in the ground they till. They sow wheat at the end of October & beginning of November, & corn at the end of April. This is the best grain to harvest, because those needing to can commence using it for bread at the beginning of September & the harvest is not over until the end of November. ...[T]hey put four seeds close together under a small mound & every four feet apart sow four more. This space is necessary for its growth, because it has big roots, stalks three inches thick & seven or eight feet long. They plant four together so they can hold each other up, against the wind. They also plant two beans of an excellent kind, close to the four grains of corn whose stalks will serve them as poles to climb along.